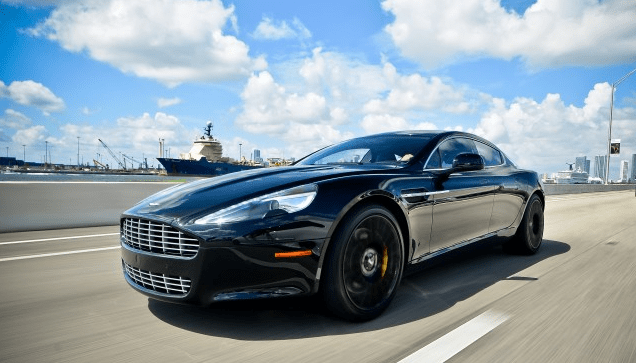 Want to Rent a Rapide? With a production target of just five hundred vehicles per year, this is a car that is almost unheard of in South Florida, and that is only part of what makes it so special. Since being introduced to great fanfare and adoration in 2010, the engineers at Aston Martin have been continually retooling the car, gearing up its performance (raising the horsepower to over five hundred fifty while making it travel 0-60 miles per hour in less than five seconds) as well as the luxury of the cabin. State of the arts interactive electronics let the driver control everything with just the sound of his voice, while still listening to the crisp sounds emanating from the sixteen speaker Bang & Olufsen sound system. Thanks to the flawless lines and perfect fit of the body that keeps the sounds of the road outside, the Bang & Olufsen system is all that you will hear. Renting an Aston Martin is Simple & Convenient!